Do You Need a Mailbox Lock at Your Residence or Business? Let Us Be Your Postal Box Locksmith. Getting mail is supposed to be simple. The mail carrier places your mail in your postal box. You retrieve your mail. However, this is the real world. Mail may go in your postal box, but the lock on your postal box prohibits you from getting it. You forgot your postal box key. Everyone forgets things from time to time. You just never thought it would happen to you. You may know why it happened. Your life became a little too chaotic. You became forgetful. Now you need your mail, but you don’t have a mailbox key. It is lost. This can happen with your postal box at your residence or business. Another situation occurs when the lock on your mail box no longer works properly. For instance, it clicks open sometimes and other times it fails to open. You may be tempted to pry the postal box open to get your mail. Do not pry your postal box open. It is a federal offense to tamper with a postal box, even your own. 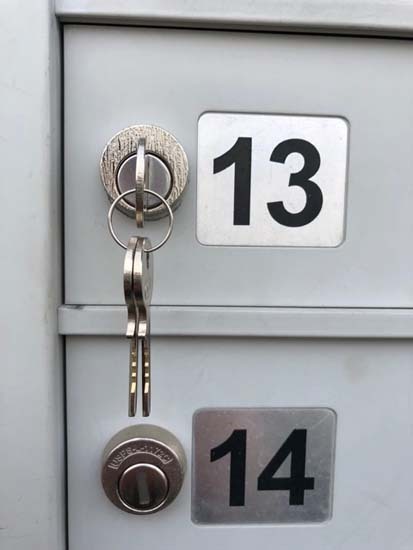 You just moved into an apartment and you do not have the key to your mail box. Maybe you are the manager of the apartment and the new tenant needs keys to the postal box, but you do not have a key. Has your mail been suspended by the postal service because of a postal box that does not have a proper lock? If you have received this message, contact us immediately at (775) 507-7177. We have experts to resolve your mailbox lock problem. You do not have time to waste in your busy day to go out of the way to pick up mail. The quickest solution is to call us at (775) 507-7177. We will come out immediately and take care of the situation for you. Whether you need a new lock on your postal box or just a repair, we will complete the job at a rate that fits your budget. Will the Entire Postal Box be Removed because of My Lock Issue? No, the entire mail box will not be removed. Instead, the entire lock on the mail box may need to be removed. This is different from removing the entire box. Sometimes we may need to remove the entire mail box lock to repair it. This means we completely remove the lock mechanism because it needs to be fixed or replace. This can be done within minutes. Another reason why we would have to remove the entire lock mechanism is if you need a duplicate keys. Duplicate keys refers to needing more than one set of keys to the postal box lock. This may require removing the mechanism completely and replacing it. Is it time for the lock to be replaced or repaired on you postal box? Do you need a courteous, affordable locksmith team with 24/7 service in Fernley, Spanish Springs or Arrow Creek. We service many communities in the Nevada area. What is a Mail box Locksmith? A mail box locksmith is someone who specializes in repairing, replacing and installing locks in mailboxes. They also may specialize in installing, replacing and repairing locks on file cabinets. They may or may not be available 24 hours a day, 7 days a week to repair, replace or install locks on your mailbox. We pride ourselves on being able 24 hours a day, 7 days a week to resolve your mailbox lock issues. Before we can replace, repair or install your mailbox lock, you will need to make sure the postal box you want us to work on is actually yours. You can do this by contacting your mailbox provider. 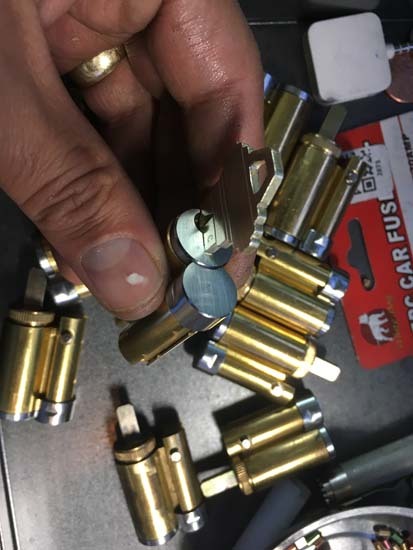 Once that is done, we can replace your lock. You then can receive your new key. Call us (775) 507-7177. What Type of Mailboxes can I Get a Lock for in Reno? Mailboxes are separated into two categories: U.S. Postal Service and homeowners association mailboxes. The U.S. Postal Service mailbox is serviced by the government, but it belongs to you and/or your company as long as you are at that address. You can request for the post office install or repair your lock on the mailbox. If the post office will give you a new postal box lock depends on their local rules. The time it takes to repair or replace your mail box lock is one to two weeks depending on holiday schedule. The second category is homeowner association postal boxes. The post office will not replace, install or repair a homeowner’s association mailboxes. Tampering with any mailbox is a federal offense. Most apartments will typically replace a mailbox within a week. Homeowner association usually takes a longer time and may charge you. Do you need a lock replaced on your postal box? Maybe your postal box owned by the homeowners association will not open. Trust us to resolve your lock-related issue regarding your postal box. We price ourselves on being fast, efficient and quick when resolving your postal box lock installation, repair and replacement. Contact us night or day at (775) 507-7177. Should I Get a Postal box Replacement in Reno? You lost your the key to your postal box. You don’t have another copy. However, you think someone else may have the original. You moved into a new place. The former tenant or owner may still have the postal box key. You want to change postal box keys for safety reasons. You need help with your postal box. Maybe it will not open. Maybe it will not close properly. You’ve cursed at the postal box many times when trying to lock or unlock it, but there is no change. Stop the frustration. Call us immediately for help with your mail box issue. Call (775) 507-7177 immediately. Our locksmith team is available 24 hours a day, 7 days a week for assistance. Do You I Need a Postal box Lock Replacement? Yes. The USPS, has a policy against delivering mail to any mailbox that that is unlocked or not secured. If you have a mailbox lock that is not properly functioning, you USPS has the right to hold your mail. This means that you must pick up your mail at your local post office. Is Your Locksmith Team Near Me? Yes. We are in communities such as Sparks, Sun Valley and Spanish Springs in Nevada. When you think about lock repair, you may think about your auto, business or place of residence. You should think about your postal too. We provide superior service by repairing, replacing or installing mailbox locks as fast and efficiently as possible. You need a secure mailbox to receive your mail. We will provide you with a lock that will work and properly store your mail. Contact us at (775) 507-7177 for immediate assistance. Contact us today to resolve your postal box lock repair, installation or replacement. Call (775) 507-7177 night or day.